So I love Instagram! Because I am about to turn the big 40!! (Yay Yay) I am probably already behind on several new social media trends. But, I was told to make my business life easier, pick your favorite social media outlet & own it. Don’t get me wrong, you will find me on Facebook & I am actually putting a lot of energy in pinterest. But at 9:30 at night, Dana is on Instagram. As I started out in this medium I had to figure out what to post. My former Business coach said, “You love your fabrics, right? Why don’t you post one a day.” Really, that’s all I have to do??? Well, that is easier said and then done. 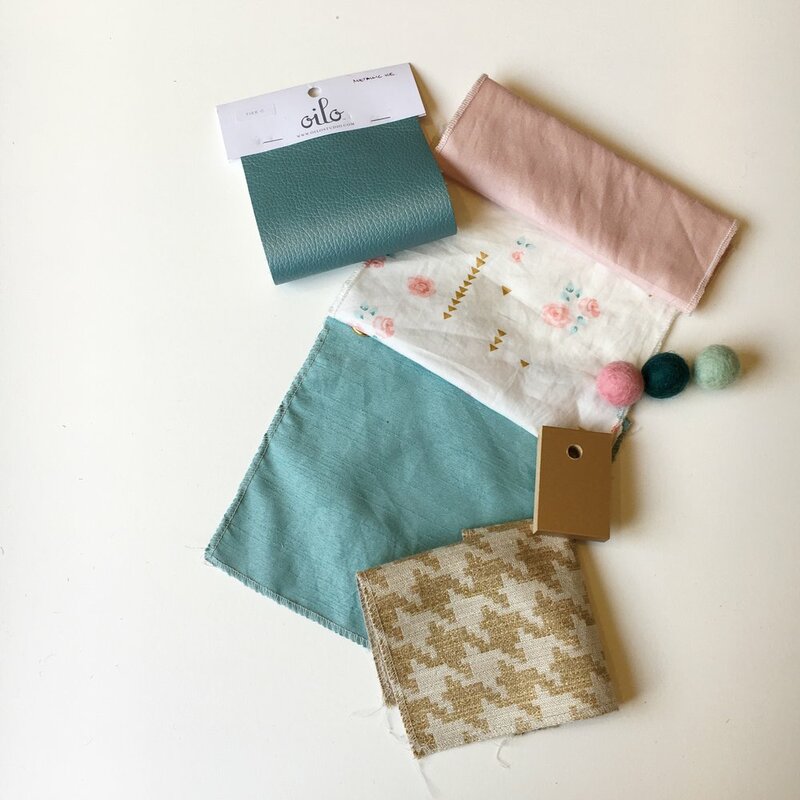 It takes a lot to make fabrics instagram worthy. I had to go see my girl Kyung of yellowhale photography to give me some photo lessons. I'm not investing in a fancy camera, its just Dana and her iPhone. 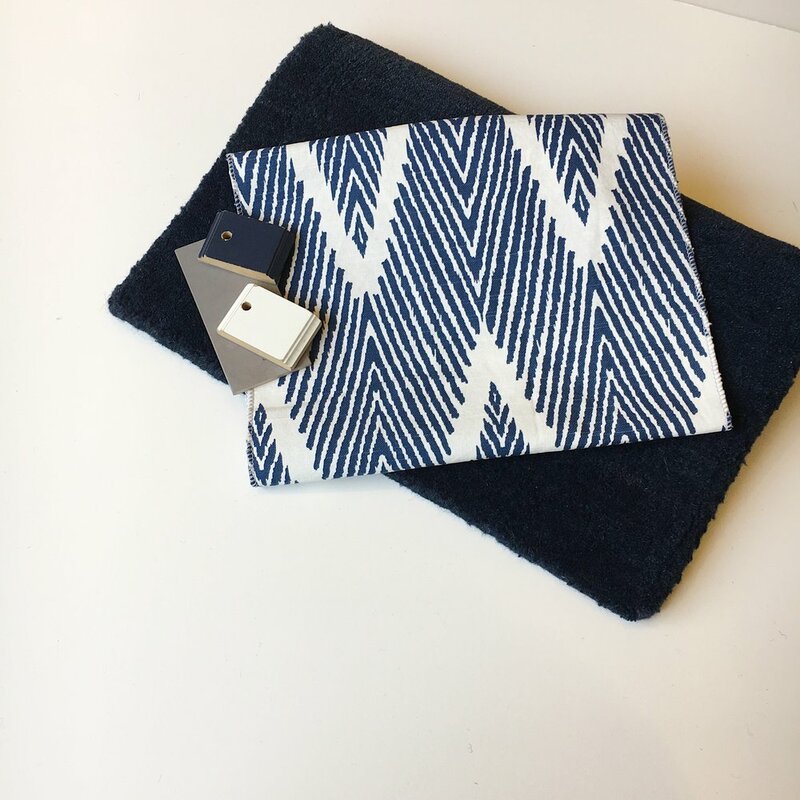 I quickly realized that I put together beautiful fabric combinations everyday when I finish working with clients. Why not just use their nursery bedding, glider upholstery, furniture wood chips & paint selection as my layouts. It really works out great. I love to feature my client’s designs & they get really excited to share their photos on their instagram feeds. In between clients I still have a lot of fabrics I need to post. So I spend lots of hours creating fabric layouts. If you've ever been in my studio you know that Dana can make a mess!! I think messy. I've got to pull out every fabric & throw them all over the place as I figure out what I want to do. 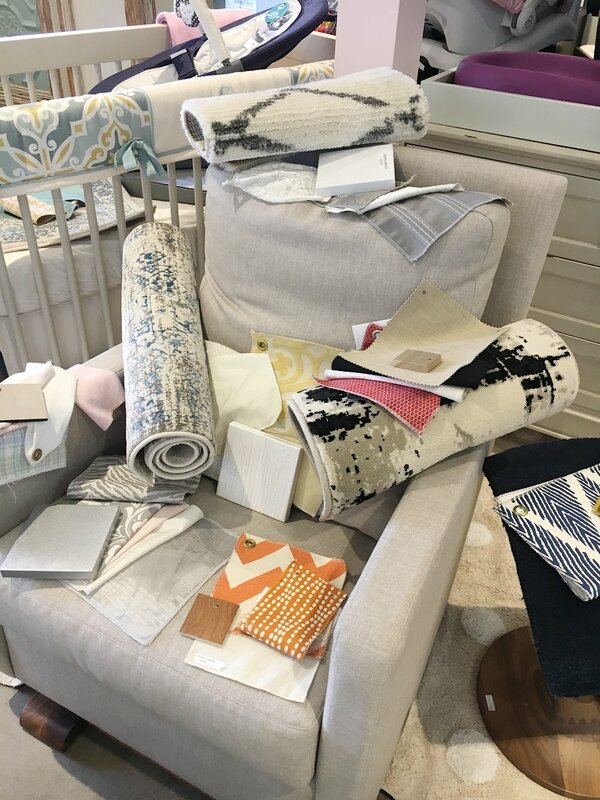 I start with going through all my fabrics, looking for the feature fabric. Then I see what Furniture wood chip would highlight the design. Let me not fool you to think the design process is just me. Please, I can’t do anything with out my team. On this project Freya our resident Grandmother is my assistant. She has been with me for over 10 years & she has to deal with Dana's creative ways. Together she edits my choices & arranges them for shooting. It's hard work, if you can consider any of this hard work.